AASHTO’s Recommended Practice is consistent with the Federal Highway Administration Report suggested framework guidelines presented in Publication No. FHWA-RD-00-140 “Framework for Evaluating Use of Recycled Materials in the Highway Environment.” The Executive Summary from this report is provided below in order to provide an overview of the AASHTO Recommended Practice. 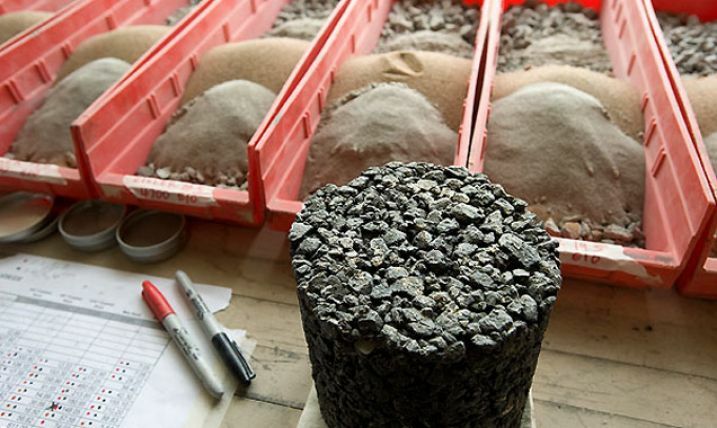 Although many by-product materials such as recycled concrete material, recycled asphalt pavement, blast furnace slag, and coal fly ash have historically been used in the highway environment, methods for evaluating the engineering and environmental suitability of such materials have not been formally developed. Some State agencies have adopted regulatory or procedural frameworks for examining the potential for using recycled materials (sometimes referred to as a beneficial use determination or a new product evaluation process), but the absence of definitive methods of evaluation and specific criteria for determining the suitability of using such materials have in most instances limited the utility of these procedures. The result is that both an applicant, who desires to use a recycled material, and a decision maker, who must determine the suitability of the application, in many cases do not have a clear or consistent approach (an evaluation framework) that can be used to proceed with such an evaluation. This report presents an evaluation framework for evaluating the feasibility of using recycled materials in the highway environment. The evaluation framework recommended in this report is illustrated in a flowchart format presented in Figure ES-1. The location in the main report of each item in the flowchart is identified in the figure. There are five steps in the framework. 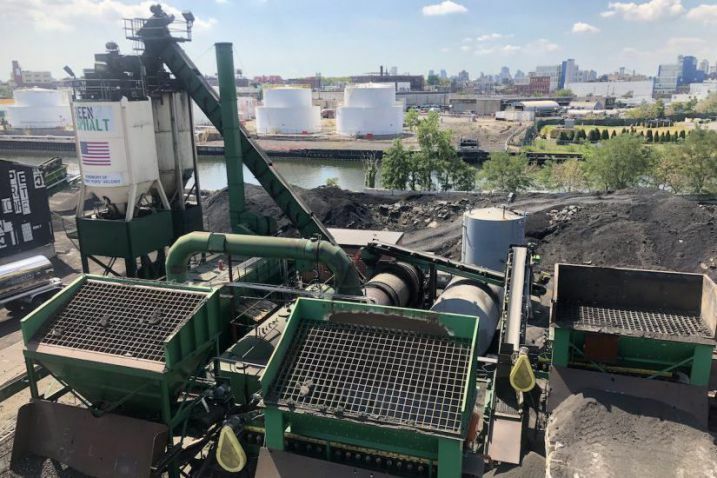 The first step in the framework process is to select a material and an application (e.g., use blast furnace slag in embankment construction) and submit the application to the evaluator or decision maker. In most cases the evaluator or decision maker(s) will be the State transportation and/or environmental agencies. The second step is to collect all relevant information that can provide input into the decision-making process. This includes, for the material and its proposed application, all related historical data, engineering and material property data, environmental, health and safety data, implementation constraints, recycling issues, and economic issues. The purpose of this step is to define all issues that may warrant more detailed examination and in particular those issues that may be problematic insofar as approval of the material for use may be concerned. Recommended checklists to ensure that the proper information is collected for such an evaluation are provided in Chapter 2, Purpose and Methodology. The third step in the process is a Stage 1 screen. The purpose of a Stage 1 screen is to determine whether the data collected in Step 2 are sufficient to approve (or reject) the proposed application without additional study. A Stage 1 approval means that the evaluator has a high degree of certainty that the applicant has provided sufficient information to justify acceptance of the proposed material and application. The applicant will typically be required to demonstrate that the proposed material is sufficiently similar to reference materials, which have been used successfully, to warrant approval. A Stage 1 screen should include an assessment of all existing data pertaining to engineering data, environmental health and safety, data recycling issues, implementation concerns, political issues, and economic issues to ensure that the data are sufficient to permit a responsible decision. A series of recommended screening checklists, evaluation procedures, and evaluation criteria is presented in Chapter 3, Screening. A Stage 2 laboratory evaluation is recommended if a Stage 1 review determines that existing information is insufficient to either accept or reject the application. The Stage 2 evaluation screen is intended to characterize (1) the engineering and materials properties and (2) the environmental, health, and safety properties of the proposed recycled material and its application product. These data can then be compared with established criteria or with the performance of reference materials using available laboratory and analytical engineering and environmental protocols. To undertake a Stage 2 laboratory evaluation, it is recommended that (1) a test plan be prepared that delineates the samples to be tested and the tests to which the sample will be subjected, (2) acceptable specifications or performance criteria be identified that can be used as a means for evaluating the results of the test plan, and (3) the data be statistically evaluated to determine if specifications are met or if performance is similar to appropriate reference materials. The most critical steps in a Stage 2 evaluation are development of the test plan and establishment of performance criteria. The main framework document provides a description of engineering and environmental parameters that will typically be of interest to decision makers when evaluating the use of proposed materials in specific applications and provides detailed lists of applicable laboratory test methods that can be used in the evaluation. Engineering and environmental parameters and test methods are presented in Chapter 4, Engineering Lab Tests and Chapter 5, Environmental Lab Tests, respectively. A Stage 3 field testing may be warranted if the available data are still inconclusive after both Stage 1 and Stage 2 evaluations. Stage 3 is intended to provide field-scale data on (1) engineering and material properties, and (2) environmental, health, and safety properties of the proposed recycled material and its application product. These data can then be compared with established performance criteria or with reference materials (e.g., a control section). Both engineering monitoring and environmental monitoring may be required during a field trial. Engineering monitoring refers to field evaluation activities that are intended to identify construction and performance aspects that may be affected by the use of a new material. Environmental monitoring refers to field evaluation activities that are intended to identify impacts to nearby air, soil, and water resources, as well as to the health and safety of workers that may result from the use or performance of the material. Both short-term and long-term monitoring activities may be required for each type of monitoring activity. Short-term monitoring activities are activities designed to evaluate how the new material might affect the application during the end-product production process, such as asphalt or portland cement concrete production, and during and/or immediately after construction. Long-term monitoring activities are designed to evaluate how the proposed application performs during the post-construction period and can involve a time period ranging from several years up to the design life of the application. To undertake a Stage 3 evaluation, it is recommended that (1) a demonstration test plan be prepared that delineates the field monitoring requirements, (2) acceptable specifications or performance criteria be identified to evaluate results of the field demonstration, and (3) the data be statistically evaluated to determine if specifications are met or if performance is similar to that of appropriate reference materials. Field monitoring activities will differ, depending on the type of application being proposed. Recommended engineering and environmental field monitoring activities are presented in Chapters 6 and 7, respectively. The approval process, depicted in the lower right-hand box in Figure ES-1, is an integral part of the framework. Approval can occur at Stage 1, 2, or 3 of the evaluation process. Approval or rejection is dependent on the performance of the recycled material in the proposed application compared with potential criteria and specifications determined by the decision maker. Three types of approvals are possible: general, categorical, and site-specific. General approvals are blanket approvals in which minimal, if any, conditions are imposed on the applicant. Such approvals are to be used where there is an overwhelming preponderance of data and history showing that the recycled material and application can be employed without adverse engineering or environmental consequences. Categorical approvals impose more restrictive limits regarding where and how a material may be used. For example, such approvals may limit the use of a recycled material to a specific environment (e.g., a defined distance above the groundwater table), or to a specific location in the highway environment (e.g., base course as opposed to a wearing course pavement). Site-specific approvals are one-time approvals and require the applicant to resubmit an application for the next project. These approvals normally require field monitoring to obtain additional information to assist the decision maker in assessing the suitability of the material in the proposed application. The framework provides for combining or skipping steps if it is clear that such action is appropriate. For instance, if Step 2 determines that engineering or environmental data are insufficient, then the decision maker could decide to bypass a Stage 1 evaluation and undertake a Stage 2 and Stage 3 evaluation. The framework also provides, as part of the stepwise evaluation process, the means to modify or beneficiate materials that do not meet criteria, so that the application will not be rejected out of hand without providing the applicant with an opportunity to revise the application on the basis of new data obtained during the evaluation process. This process is illustrated by the arrow directed toward the modify material application box in the upper left-hand corner of Figure ES-1. This document presents a comprehensive evaluation framework that decision makers can use when evaluating the use of recycled materials in highway applications. The complexity associated with defining evaluation procedures and criteria demands, however, that the evaluator select the best test methods and criteria subject to local conditions, and that the criteria and test methods be continually updated as new information is made available. The multidisciplinary engineering and environmental effort involved in implementing the steps outlined in this framework will require that State engineering and environmental agencies forge cooperative efforts, pooling the necessary resources to undertake the necessary evaluation effort. Only through such cooperative efforts can these complex issues receive proper attention, ensuring the appropriate use of recycled materials in the highway environment.